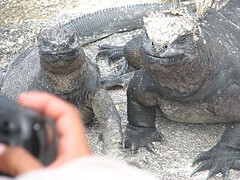 It is a big statement to make, but for me the most beautiful place I have ever been is the Galapagos Islands in Ecuador. Nowhere else in the world has ever come close. 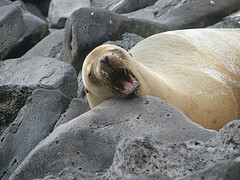 It isn’t just a beautiful place to see though, the Galapagos Islands are also one of the most relaxing places to travel (and I travelled there with the uninvited travel companion from hell, so having a relaxing holiday was no mean feat, but more on her to come when I take you through my journeys in Peru). So what is it that makes the Galapagos Islands my number one pick for any traveller… it is the wildlife, the environment and oh did I mention the wildlife. For those that don’t know much about these islands, I will give you a quick background. 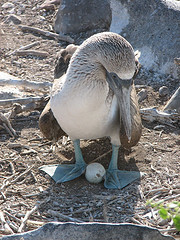 The Galapagos Islands are located about 1,000kms off the coast of Ecuador in South America. 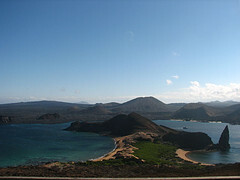 The islands are volcanic, and each one has its own distinctive feel and native animals. 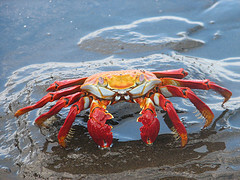 They are located in the Pacific Ocean and cross the equator. They have a wide variety of wildlife that is endemic to the islands, it was here that Charles Darwin famously developed his theory of evolution after observing the animals of the region. The region is protected and the wildlife reign supreme. Whilst there are many tour boats that travel through the islands, they are all restricted in their activities and required to keep to a very specific schedule. As a tourist though this didn’t concern me at all. So for example whilst our boat was allowed to snorkel in one reef, another boat-load was only allowed to walk on that island. That way, the islands are safe from too many people trying to cover the same ground each day. 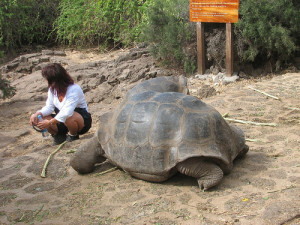 I spent 8 days in the Galapagos Islands on a boat. Whilst it took me a day to get my sea legs, once there I settled straight into the experience. Each day we visited a different island, either hiking, boating, snorkelling or just lazing on the beach. But what made this so amazing was to see the different animals that lived on each island and how they behaved. As these animals had been protected for so long they didn’t appear to be frightened of humans. In fact they were almost oblivious to us completely. One day whilst swimming I was joined by a sea lion who thought it was amusing to just brush past me at high speed, scaring the living daylights out of me, but he was just having some fun. 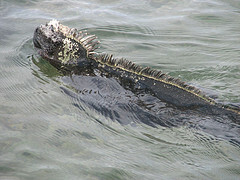 Another day whilst snorkelling a cormorant bird thought it would be amusing to try and peck my bikini bottoms off me. 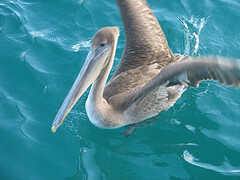 We stood next to crowds of marine iguanas, sat still on a boat as a flock of blue footed boobies settled next to us, and walked past pelicans who didn’t bat an eyelid. 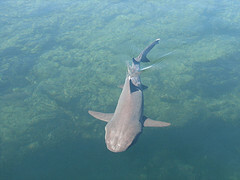 I have never experienced wildlife at such close range before, and certainly never seen animals so at ease and fearless. It was inspiring and just a wonderful experience. 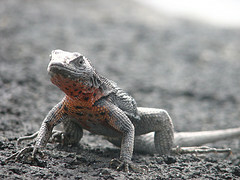 So I will spare you more words and just show you some of the incredible wildlife that can be found in the Galapagos Islands. Oh and if you are thinking about where to go for your next holiday, then I highly recommend you go to these stunning islands as I believe everyone should experience something this beautiful at least once in their life. I agree. The photos were amazing. Thank you.